"December Daily" seems to be the catch phrase for all the various albums and systems used to document the holiday system. This is my first holiday season trying to document on a regular basis and I thought I'd share what I'm doing - or part of what I'm doing. The first thing I started is an art journal. At last count I have 7 pages done! I'm quite proud of myself as this is 6 pages more than the first time I tried an art journal a few years ago. I haven't shown it to anyone yet as it is pretty basic. OK, some of the pages might be downright ugly but I'm learning and playing and I am capturing stories and thoughts of the holiday season. I started this in October actually and I'll share more about it later. What I just started is a little envelope of cards to capture the memories of the season as they unfold. A few days ago I attended Lain Ehmann's November Scrapinar called Dazzle Your Decemer (It is available for viewing through November 24). If you are on her e-mail list, you heard of this I'm sure. You didn't even have to register. She shared some great ideas for capturing the holidays without a complex system. The day after her webinar I found myself at the doctor's office with my dad for a last minute appointment. (No big problem, he's fine). His doctor is quite prompt so we didn't have to wait long. Nevertheless, as soon as we sat down I thought "Darn, I forgot my book." I accompany my parents to a lot of appointments and am never without a book. In the rush, I forgot. So I peeked inside my purse to see if there was anything there to amuse me. Nothing. Then I remembered the Scrapinar and thought "wouldn't it be great if I had a little book or something to write some holiday ideas on?" And that was the basis for this envelope system. I created a custom envelope to hold 4x6 index cards. On the cards I wrote a few of the following prompts. Now when I'm out with a free moment, I can document holidays past or present. There are tons of stories just waiting to be captured and often I find myself with a few minutes here or there as a captive in a waiting room. Perhaps you have a few minutes waiting to pick up a child from school or an activity. I put this to use this afternoon when at the eye doctor with my Mother to write down a few of the ways we celebrated Christmas at church and with family when I was growing up. I think the key to this is to just get some thoughts, memories and ideas down. Don't stress if you don't do something with every card. 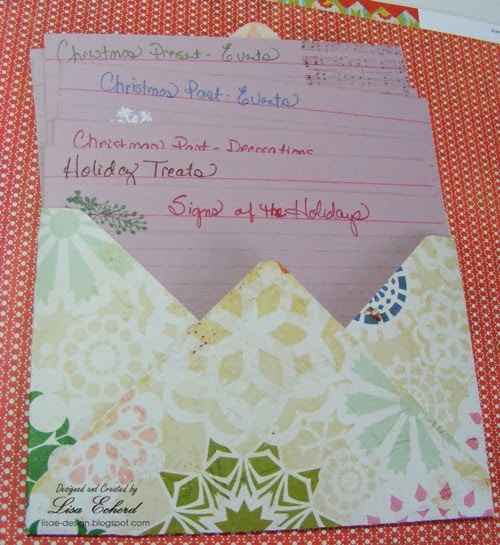 The "Christmas Past" cards might get scrapbooked or journaled or they may get filed with my older 4x6 photos for a scrapbook page some other time. The memory isn't just in my head anymore, it is on paper and that is memory keeping. 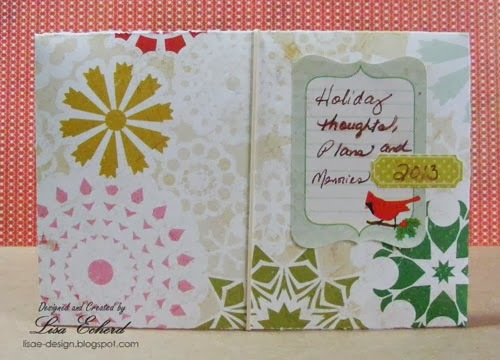 Are you doing a holiday album or other memory keeping project? Thanks for stopping by! Very nice idea, Lisa. I love that you branch out beyond the normal cards and scrapbook pages. There are so many other ways that we can use paper as we capture moments of our lives! Thanks for sharing. This is so pretty, Lisa! 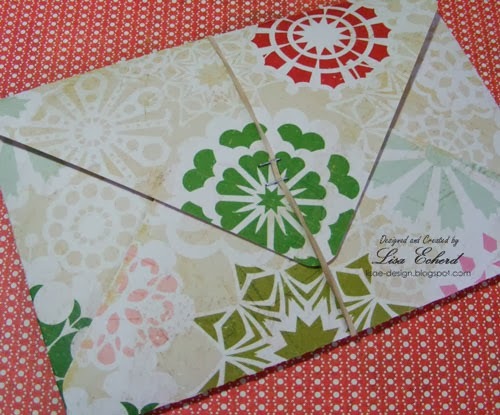 Love the idea of an envelope and all of the cards! Such a pretty way to carry around some journal cards.